Above (clockwise from top left): Coral Actives Retinol Exfoliating Cleanser, Moisturizer for Acne-Prone Skin and Penetrating Acne Serum Gel. 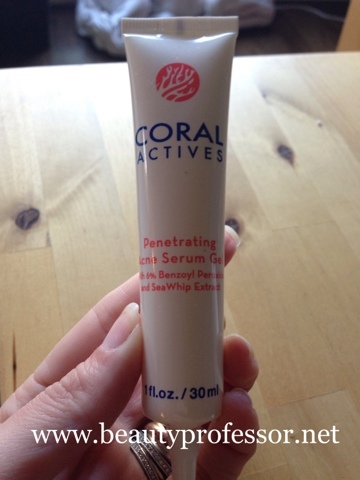 I recently had the chance to try Coral Actives Skincare; targeted for those who experience sensitivity and breakouts, this line harnesses the power of SeaWhip Extract to reduce inflammation and clarify the surface of the skin. Although I don't experience regular breakouts anymore, constantly experimenting with different makeup and skincare can conjure up the occasional blemish. 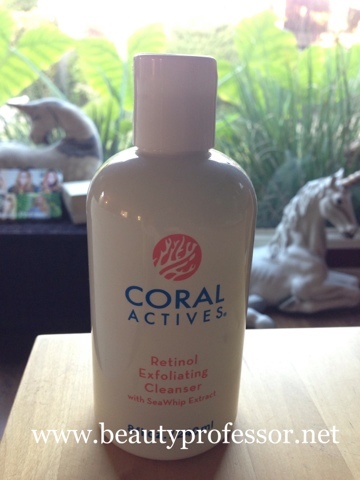 Sea Whip Coral is a soft coral found in the Caribbean. It provides a very potent NATURAL anti-inflammatory extract that is safe, effective and environmentally friendly. Clinical studies have shown that Sea Whip Extract has both anti-inflammatory and analgesic properties when topically applied to the skin. Sea Whip has been found to inhibit 90% of the inflammatory enzyme, phospholipase. 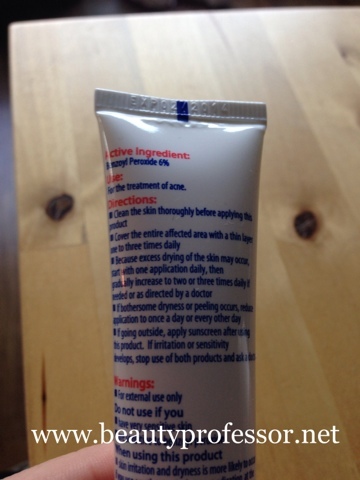 This enzyme is the foundation of the skin’s inflammation response that leads to signs of redness and discomfort. 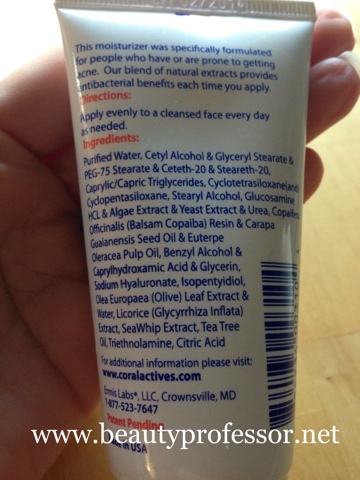 Sea Whip Extract has also been shown to assist the skin to repair itself. It is a natural solution for sensitive and irritated skin. Sea Whip Extract is a completely renewable resource! Fascinating...so how well does it work? The Penetrating Acne Serum, which retails for $22.95 for one ounce, boasts an impressive 6% Benzoyl Peroxide concentration to get to the source of blemishes...it increases oxygen to the skin to accelerate healing, while humectants keep skin from feeling over dry. 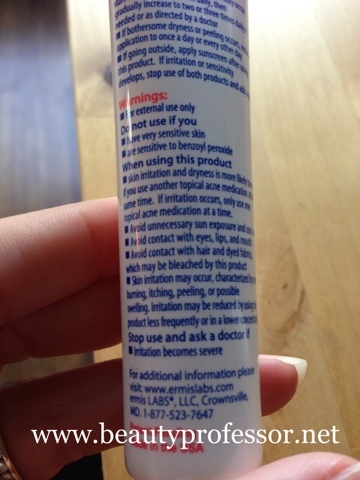 I used this a few times when I noticed a blemish forming and, in every case, it was gone by morning. I cannot speak to how effective this, in and of itself, would be on extremely broken out skin but was very pleased with the results on isolated areas. It never felt uncomfortable, irritated or too dry. Above and below: The directions etc. on the back of the tube. The Moisturizer for Acne-Prone Skin, which retails for 12.95, is designed for sensitive skin that needs moisture without heavy additives that can lead to congested pores. I tried this a few times in tandem with the serum and was pleased by its light, non-greasy texture and ability to quickly hydrate and balance my skin. 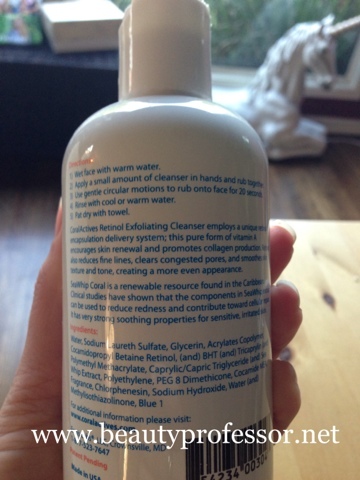 Finally, I tried the Retinol Exfoliating Cleanser, which retails for 18.95. This non-foaming gel with exfoliating beads is my favorite of the three products I tried, strictly because I use it the most. 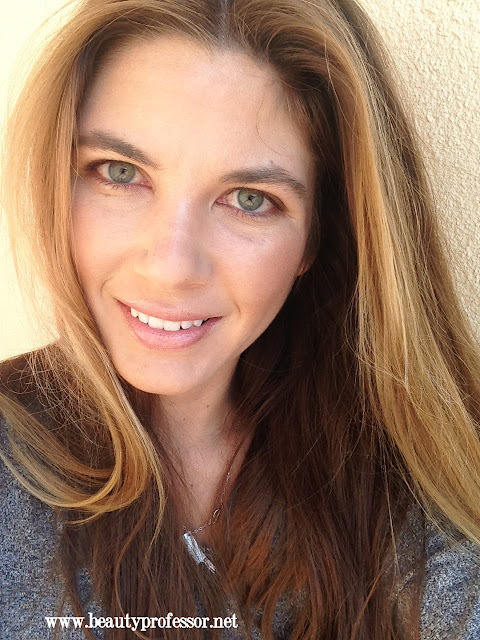 I apply this retinol-infused product in the shower to wash off the day (and my makeup!). I enjoy the process of massaging it into my face and am pleased with the extremely clean and smooth skin that follows. The fact that, over time and prolonged use, its ingredients contribute to cell renewal, collagen production and a smoother, more evenly toned face makes this a fantastic product! 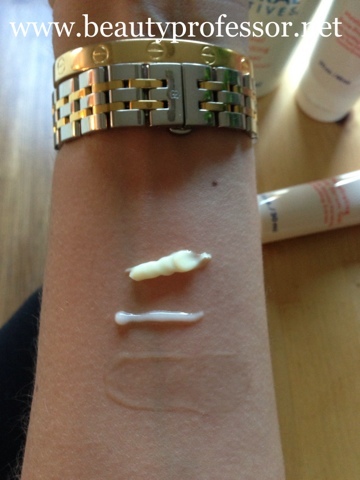 Above (from bottom to top): Swatches of the Retinol Cleanser, Penetrating Acne Serum Gel and Moisturizer for Acne Prone Skin to provide a better sense of the products' respective textures. Above: My skin after a couple weeks of Coral Actives...I am wearing a tiny bit of concealer and light dusting of powder...that's it! 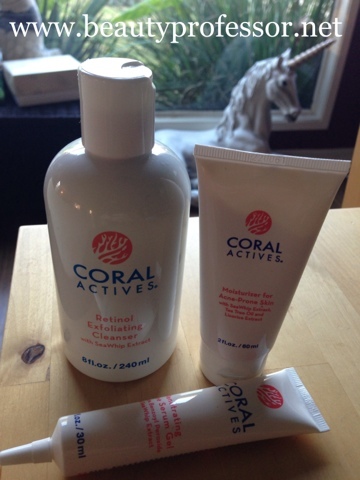 Bottom Line: Even though I have grown out of my acne stage (which felt like it took ages), I am thankful to have Coral Actives around when something erupts. The Retinol Exfoliating Cleanser has found a permanent home in my shower and the Penetrating Acne Serum Gel is great for the occasional unwanted visitor. This is an effective, reasonably-priced line for anyone battling with sensitive, challenging skin! I am going to have to try the treatment. At 56 I suffer with acne now more than when I was a teenager. It's awful treat acne or treat wrinkles is the decision every night. 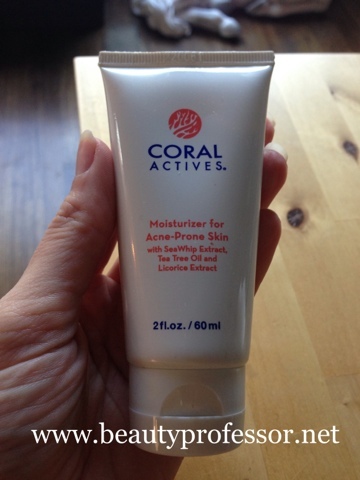 Coral actives is a great line for occasional acne. I love that the Retinol Cleanser also has powerful anti-aging properties...recommended! Perhaps this is the perfect solution for you! Oh goodness! This last shot of you is my favorite ever! It's a great pose and you look fab. Wow! Thank you, Susan! Minimal makeup shots are always a little daunting but I wanted to show the condition of my skin as authentically as possible...hope your weekend is going well! !